Young single mother Anna works several jobs in order to fund the care required for her autistic son, who is placed in a specialist establishment. One day, she decides to leave it all behind and take him to live in the United States. But she has difficulty in obtaining the visa. So she sells her flat and entrusts everything she has to a man who can acquire false papers for her. Can she really trust him? 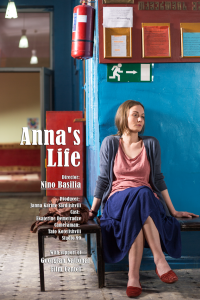 Anna's Life TRAILER from nino basilia on Vimeo.